In Downtown Disney West Side near Disney Quest. Splitsville Luxury Lanes & Dinner Lounge is bringing the pasttime of American bowling back to its roots. The trendy, nostalgic interior of Splitsville coupled with a unique menu of upscale items and full-service bar make this venue an experience in entertainment. 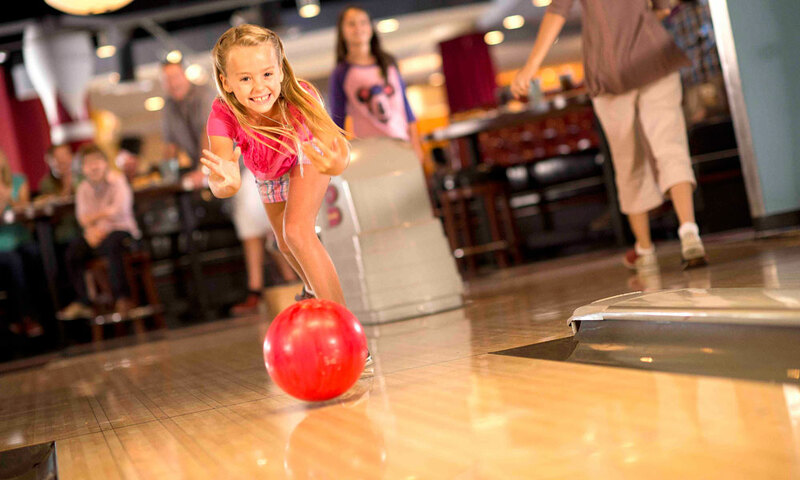 The 30 lanes provide family-friendly fun and are a great dining spot in Downtown Disney. The two floors of entertainment offer bowling, live music, food delivered to your lanes, dining areas, billiards, and five bars located throughout the bowling complex, including an outside patio and balcony bar. Splitsville is open to a variety of events, including NFL gamedays on Sundays and the Rolling Social on Thursday nights. Walk-ins are welcome, and priority bowling is available. 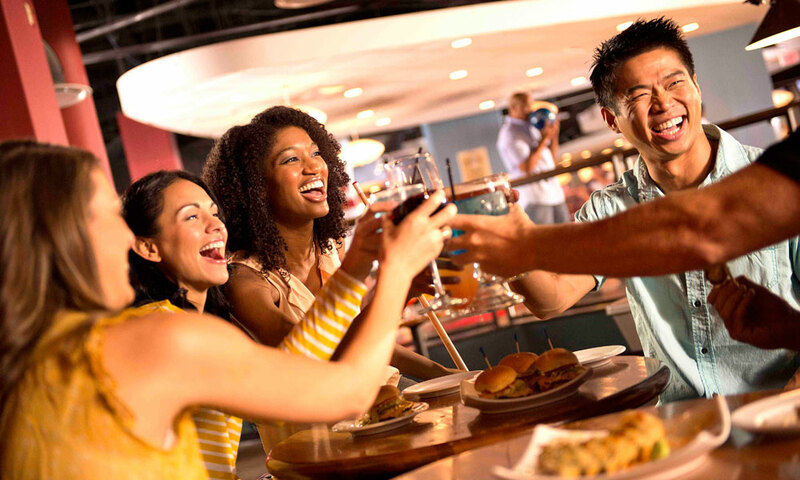 Splitsville is a popular location for bachelor and bachlorette parties, birthdays, corporate parties, and team-building events. The venue comfortably holds up to 1,500 guests. Game times will vary from lane to lane, depending on the size of your party. Weekday Rates — Daytime: Open-4 p.m., $15 per person, shoe rental included (tax not included); Evening: 4 p.m.-Close, $20 per person, shoe rental included (tax not included). Saturday and Sunday — All day, $20 per person, shoe rental included (tax not included). Game Time — 1 to 3 people, 1 hour; 4 People, 1 hour and 15 minutes; 5 People, 1 hour and 30 minutes; and 6 to 8 People, 1 hour and 45 minutes. 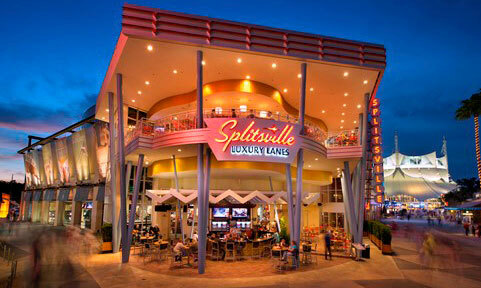 Splitsville is located in Dowtown Disney West Side near Disney Quest.